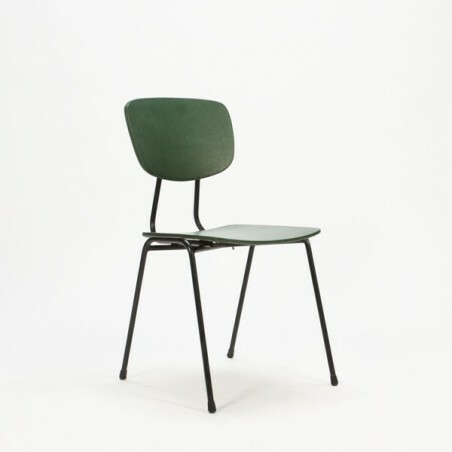 Vintage chair from the sixties. 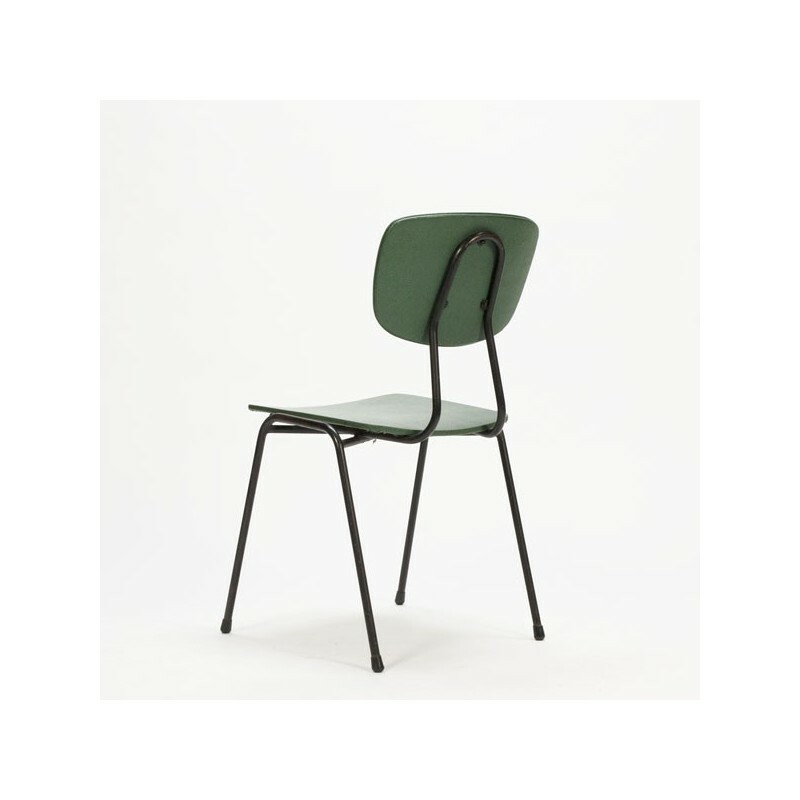 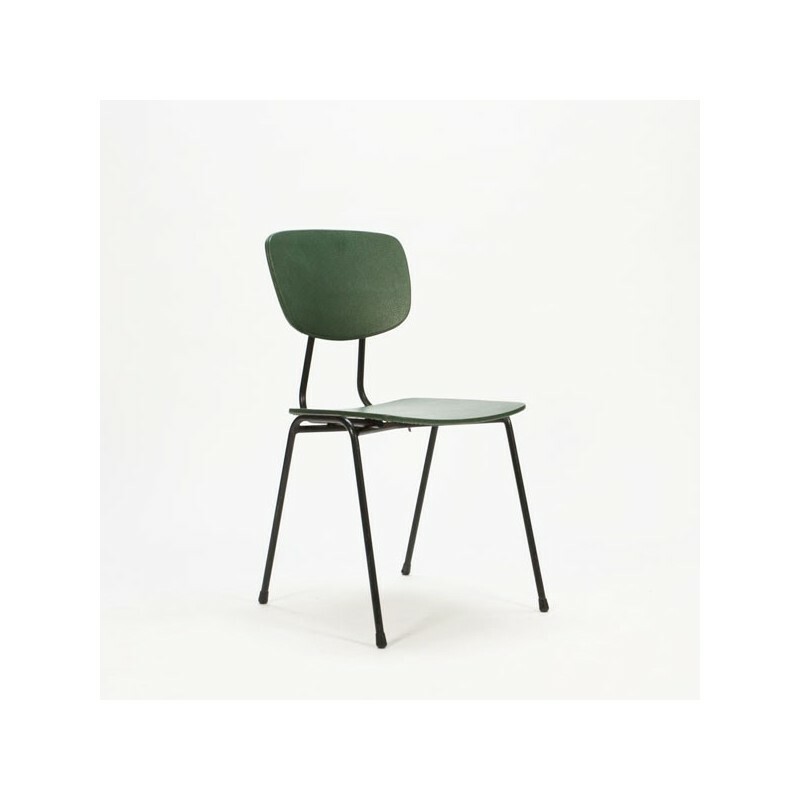 The chair has a green imitation leather-like upholstery and black metal frame. 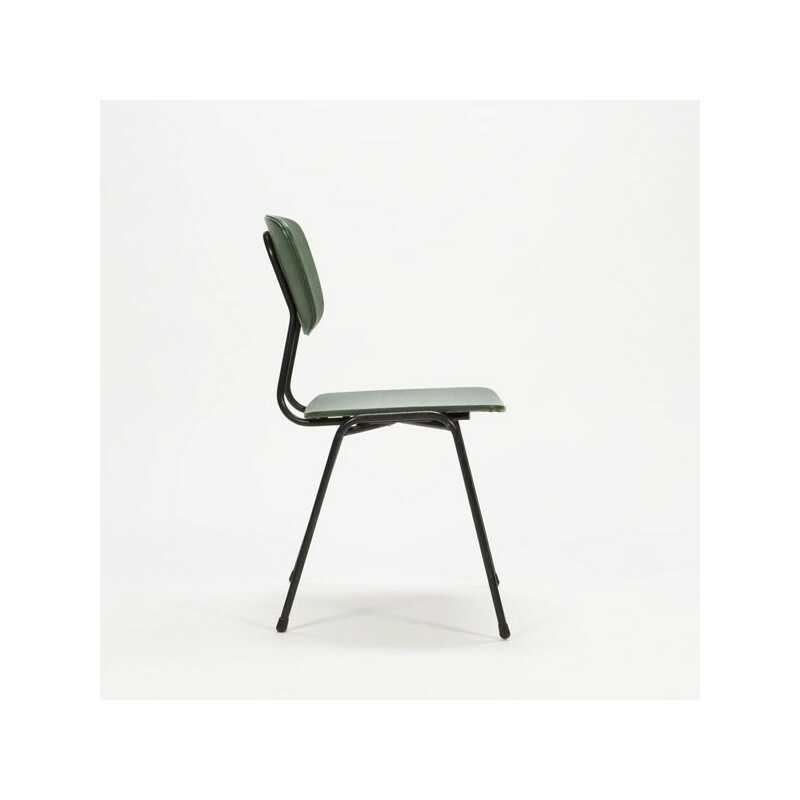 The condition is good considering the age, see the detailed pictures. The size is 43 cm B / SH 44,5 cm / 80 cm H.